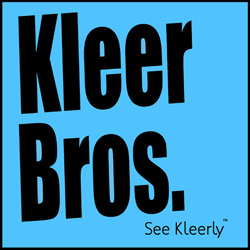 Kleer Bros. Entertainment will give free script coverage, notes and consultation to a filmmaker selected by the festival - a $500 value! Kleer Bros founder Kirk Ryde will read your script (feature or short) and provide coverage, detailed notes, and a thirty minute Skype meeting. Kirk Ryde received an MFA in Film and Television from UCLA where he won the Jack Nicholson Award for Screenwriting. He has presented seminars in screenwriting and sound design, and his films have screened at over 40 festivals worldwide and won 11 awards. Kirk recently worked as a script consultant and screenwriting mentor for two feature films now in pre-production and production. Three Prize Packages from Ink Tip. Each prize package includes a free InkTip script listing! a prize at the festival!